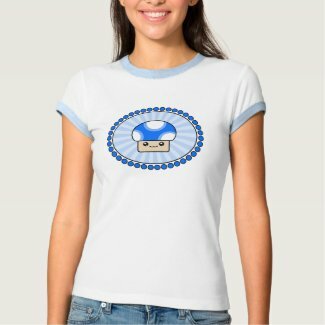 Kawaii T-Shirts On Sale! Save 15%!! Super Cute Kawaii Stationery & Note Cards! Save 10% on Kawaii T-Shirts! 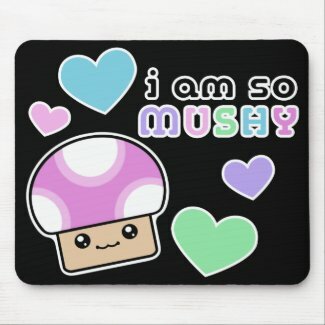 Add Cuteness To Your Desk With A Kawaii Mousepad! Kick It In Style With Mega Cute Kawaii Keds®! Oh my! It's an uber cute kawaii tie! 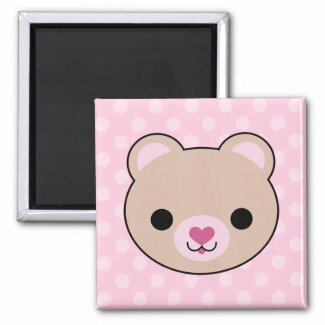 Cutenize a locker or desk with these fun kawaii magnets! Mega Kawaii™ and The Spotted Olive™ are getting ready for Spring with 15% off kawaii t-shirts! 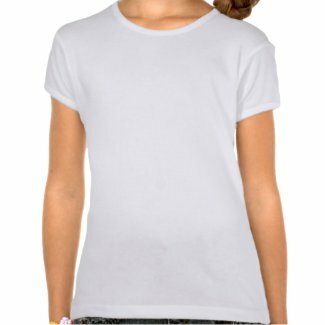 Check out our mega cute t-shirt designs and save!! When you use coupon code: ZAZZLEFORYOU at checkout, you will receive 15% off your kawaii t-shirt purchases. Hurry! Offer expires February 3, 2010! 15% of the t-shirt net sale price will be deducted when one or more of each item is purchased and the coupon code ZAZZLEFORYOU is applied at checkout. The net sale price is the price of the product (excluding shipping and taxes). Offer is valid from January 25, 2010 through February 3, 2010 at 11:59pm PT. This offer does not apply to past purchases and may not be combined with any other Zazzle promotional or volume discount offers. If a volume discount applies to your order, you will receive either the discount set forth in this offer or the standard volume discount, whichever is greater. Offer valid on Zazzle.com only. This is so freakin' cute. I love the punk Hello Kitty! This is a video we found on youtube posted by contributor nightstalkergirl95 and just had to share. Sure Hello Kitty sugar and spice, but she has a dark side too! So totally kawaii. What could be more fun than stepping out in some super sweet Kawaii Shoes? Kawaii mugs make drinking your hot or cold beverages so much more fun! 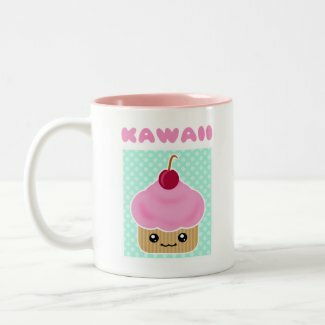 Now through February 3, 2010 you can save 15% on kawaii mug purchases at Mega Kawaii™ and The Spotted Olive™ when you use coupon code: ZAZZLEFORYOU at checkout. Available in a variety of styles and color choices! These super adorable mugs make a great Valentine's Day gift for your sweetie! 15% of the mug net sale price will be deducted when one or more of each item is purchased and the coupon code ZAZZLEFORYOU is applied at checkout. The net sale price is the price of the product (excluding shipping and taxes). Offer is valid from January 25, 2010 through February 3, 2010 at 11:59pm PT. This offer does not apply to past purchases and may not be combined with any other Zazzle promotional or volume discount offers. If a volume discount applies to your order, you will receive either the discount set forth in this offer or the standard volume discount, whichever is greater. Offer valid on Zazzle.com only. 10% of the binder net sale price will be deducted when one or more binders are purchased and the coupon code BINDERSDEAL1 is applied at checkout. The net sale price is the price of the product (excluding shipping and taxes). Offer is valid from December 23, 2009 through April 1, 2010 at 11:59pm PT. This offer does not apply to past purchases and may not be combined with any other Zazzle promotional or volume discount offers. If a volume discount applies to your order, you will receive either the discount set forth in this offer or the standard volume discount, whichever is greater. Offer valid on Zazzle.com only. 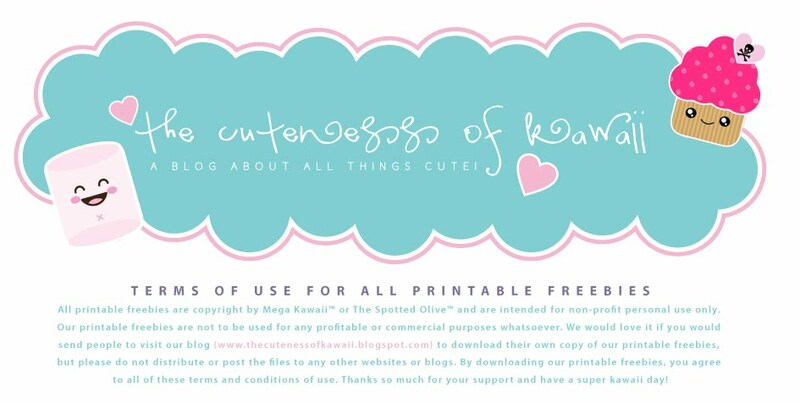 Thanks for stopping by and checking our our FREE kawaii printable February 2010 calendar by The Spotted Olive™! It so cute with two clouds raining hearts with the words "It's Raining Love!" Perfect for the month of Valentine's Day and uber kawaii. The image above is a small version of the actual calendar. 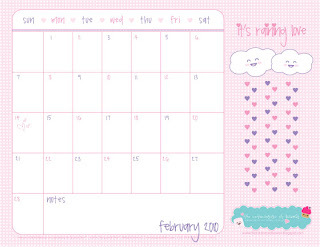 Download the 11" x 8.5" printable version of this calendar by clicking the following link: Free Kawaii February 2010 Printable Calendar! Print on LANDSCAPE setting and FIT TO PAGE on 8.5 x 11 paper. 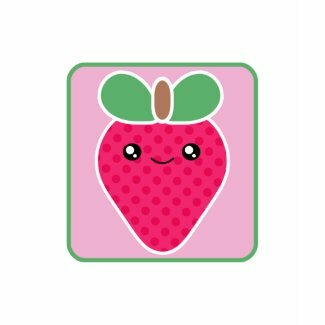 We love to have some fruity fun and kawaii strawberries are one of our fav cute kawaii foods! Lush and darling let them make your day as sweet as can be. You'll want to bring back the art of the handwritten note with this ultra adorable personal stationery from Mega Kawaii™and massively cute note cards from The Spotted Olive™! 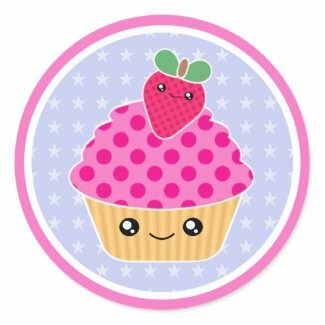 What's more fun than getting a sheet of yummy sweet kawaii food stickers? 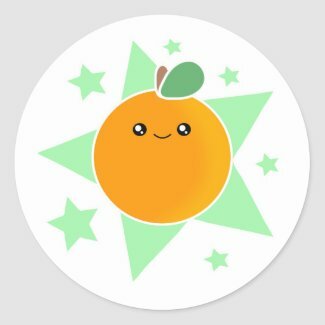 Sweeten up any note or binder with these delicious cuties! Here's a fun little video of Hello Kitty cosplaying the Chinese Zodiac that we found on youtube by contributor HelloKTanna. It's absolutely adorable! Get ready for a stylish Spring 2010 with ultra cute kawaii design t-shirts from Mega Kawaii™ and The Spotted Olive™. These adorable designs are sure to add to your cuteness factor! 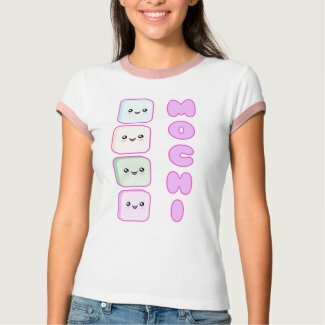 Shop now and save 10% on your kawaii t-shirt purchases when you use couponcode: TSHIRTS10OFF at checkout. 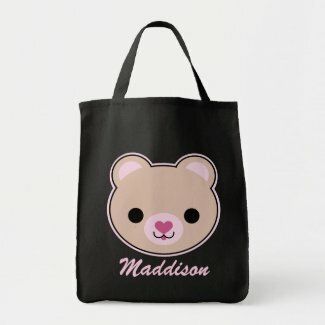 Great for school books or sleep over bags these darling Kawaii tote bags will brighten your day! Here's a video we came across on youtube from contributor heathercooze on the kawaii culture phenomenon in Japan. We hope you enjoy it! 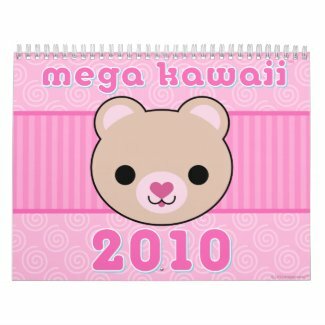 Get it while you can, our super fun kawaii 2010 calendar is jam packed with cuteness. Don't wait till they are out of stock to get yours. Who wants a boring desk? Add a splash of fun and charm to your work area with uber cute kawaii mousepads from Mega Kawaii™and The Spotted Olive™. We came across this fun little animated video of Hello Kitty & Friends by Dream Cortex and just had to share it with everyone! Have fun! I love the frog Keroppi!! Super kawaii. "The Adventures of Hello Kitty & Friends" is a computer-animated series that brings the famous Sanrio characters to audiences all over the world. The series is an initiative of Sanrio Digital, executed by Dream Cortex. While the technology that Dream Cortex used to create the show is recent, "The Adventures of Hello Kitty & Friends" adheres to the core values established more than 30 years ago by Sanrio: happiness, family values, friendship, and educational value.